I know a lot of us still have the Disney streaks within us and I am not talking to girls only. Well, to those who think that castles and princesses are only for sissies, then, let Balmoral International Group (with a lot of male macho within this group agreeing with me) introduce you to the great Bourscheid Castle. Standing majestically some 150 metres above the River Sûre and enclosed by circular walls with 11 watchtowers, Bourscheid Castle is located near the village of Bourscheid in north-eastern Luxembourg. The medieval castle stands on a site with archeological evidence of structures dating back to Roman times. Although first mentioned in records from 1095, the castle appears to have been built around the year 1000 on earlier foundations. It was extended on several occasions: the outer wall dates from 1350, the Stolzembourg house from 1384 and the courtyard from 1477. Behind the gateway from the end of the 15th century, a ditch protected by four towers barred access to the upper and lower castles. The southern and eastern towers are from 1498 and the artillery bastions were built in the 16th century. The extension of the upper part of the castle took place in the 15th century while the great fireplace and tall chimney were completed about a hundred years later. Schenk von Schmidtburg, who acquired the castle at the end of the 18th century, undertook some repair work but was unable to prevent further degradation. In the 19th century, after the chapel collapsed, there was talk of demolishing the building. However, in 1936 it became a listed site and in 1972, with the encouragement of an association called the Friends of the Castle of Bourscheid, the State acquired the building and undertook extensive repairs. As a result of restoration work, the castle is now fully accessible to visitors, but remains a predominately open-air ruin. At first the little square near the keep, the chapel and the palace with the great hall were surrounded by a circular wall with at least 4 towers. Work on the outer circular wall with 8 towers started shortly after the year 1350. It was finished in 1384; the same year in which the Stolzemburger House, a residential building, was erected. As the circular wall with its 8 towers now offered better protection to the core of the castle, the great hall was built to a height of at least 10 meters, which corresponds to 4 storeys. A bakery was added on the top of a 2-level dungeon hewn into the naked rock. Behind the gateway, which was built only after 1477, a ditch protected by 4 towers barred the access to the upper and the lower castle. The square in front of the exterior gate was protected by palisades. In this area stood the linden tree under which justice was spoken. After 1512 Bourscheid Castle began to dilapidate when the Lord of Bourscheid had died. His heirs made 3 separate homes for themselves on the castle grounds; the Metternich family in the old palace and keep, the Zant von Merl family in the lower part of the lower castle and the Ahr family in the Stolzemburger House. Although in 1650 the chapel was enlarged, only bailiffs lived in the castle from then on. The Stolzemburger House was completely rebuilt in 1785 but then the old palace and the chapel had already partially collapsed. The castle was abandoned in the beginning of the 19th century and fell to ruin. In 1972 the ruins of Bourscheid Castle, which had been declared a national monument in 1936, were bought by the Luxembourg State and opened to the public. Since then parts of the castle were restored. At present the Stolzemburger House seems to be used for cultural activities and the gatekeeper’s house houses a small museum which traces the history of Bourscheid Castle and the Lords of Bourscheid. This is a nice and well known castle in Luxembourg. Although there are a lot of reviews stating that the castle is over-restored, Bourscheid Castle had also been a mute witness to history and events in the Great Duchy, a well-worth featuring in Balmoral International Group all the same. In the extreme south of Luxembourg is a little region worth featuring in Balmoral International Group called the Land of Red Rocks. It got its name from the steel industry which produces red ore back in the industrial area. The south of the country once provided the nation’s wealth. But now the open-cast mines and iron-ore workings have given way to Mother Nature. Where there once stood blast furnaces rare orchids flourish. Former steel factories now house museums, galleries and theatres. Past industrial prosperity has been replaced by cultural wealth. Its hillsides and forests reveal Roman and earlier remains. Today, the former mining area of the Land of the Red Rocks, also referred to as Terres Rouges, was able to find a new identity combining ancient and new technologies. As mentioned above, the industrial culture in this region is called the Terres Rouges. As technology is developing so is the steelworks as the former processes were reassigned to serve modern society. Today it is the industry and railway park Fond-de-Gras, which recalls this fundamental time in the history of Luxembourg. The Land of the Red Rocks encompasses the major commercial cities of Luxembourg, including Dudelange, Esch-sur-Alzette and Differdange. Resolutely modern and trendy, these cities form an urban complex with a young and dynamic atmosphere. Street theatre, rock festivals and concert halls complement cultural offerings. It is also in the Terres Rouges region, in Esch-Belval precisely, that will be created the future campus of the University of Luxembourg. The famous concert hall “Rockhal” in the city of Esch shows how the Land of the Red Rocks managed to give a complex historical past a new image for a modern and changing Luxembourg. In addition to the many attractions of the former mining area, the Terres Rouges region offers a wide range of activities for children. Crocodiles, snakes, parrots and monkeys are waiting at the ‘Parc Merveilleux’ of Bettembourg. Hauled by creaking locomotive wagons spitting fire, kids and parents alike discover the underground galleries of the old mines of Rumelange. With the changes and modernization that has been evolving in the Land of Red of Rocks researches show that soon enough, Luxembourg will dominantly incorporate history and new age in its people and wonderful places. Balmoral International Group is proud to feature another special place in the Grand Duchy of Luxembourg. A ‘light tram’ is planned to link the main train station, Gare Centrale, with Kirchberg via Ave de la Liberté and Blvd R Schuman. Until it’s built (and that’s years off), buses are the most convenient way to cover much of the city. The main city bus stations are Gare Centrale (city buses leave to the right as you exit the train station) and Place Hamilius in the Old Town. Public transport information offices are located inside Gare Centrale and underneath Place Hamilius. Most buses run from 5.30 AM to 10 PM, when a limited night bus service (24 89 24 89) takes over (Friday and Saturday nights only). Depending on the route, these buses run every 15 or 30 minutes until about 3.30am. 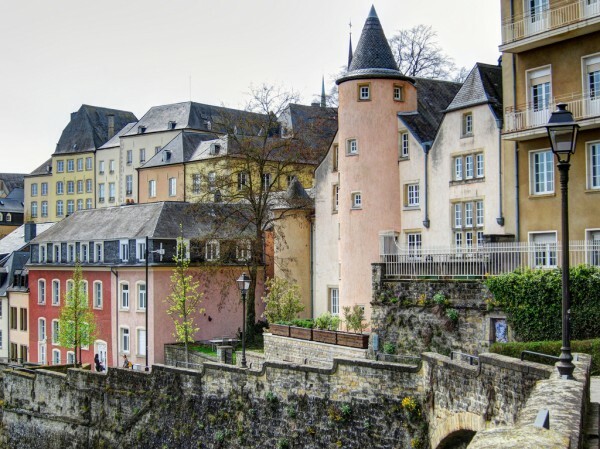 The national capital, technically known locally simply as Luxembourg, the same as the country, but usually called Luxembourg City (Ville de Luxembourg) to avoid confusion, is split into a number of distinct districts, divided by the enchanting gorges of the Alzette and Pétrusse valleys. To the northwest is the delightful old town center (a UNESCO World Heritage Site), complete with elegant squares, imposing historic churches, shops, underground networks of tunnels used formerly for defending the city called “casemates”, and the classic cobblestone streets; to the northeast is the more modern area on the Plateau du Kirchberg, home to Luxembourg’s renowned international finance business sectors, and to shopping malls and entertainment venues. Proud of its role as a founding member of the EU, Luxembourg sees itself as playing a prominent position in European affairs and a number of European Union institutions are also based here on the plateau. To the south is Gare, the railway station area containing shops and budget hotel options. Separating the three main upper districts is the Pétrusse Valley, now parkland, and, by the banks of the Alzette River, the lower town districts of Grund and Clausen. The former is home to a number of bars, restaurants and museums; the latter is principally home to Rives de Clausen, the city’s primary nightlife area among the younger crowd. 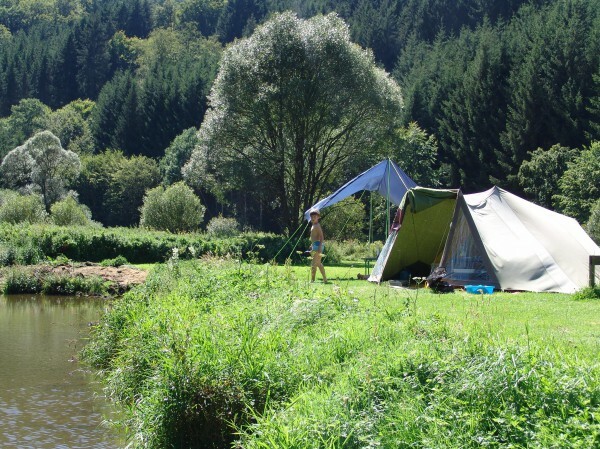 The northern half of Luxembourg is dominated by the beautiful landscape of the Ardennes, an area of high plateau into which deep, steeply-sided wooded valleys have been carved out over time, another perfect landscape waiting to be discovered by walkers of all abilities. 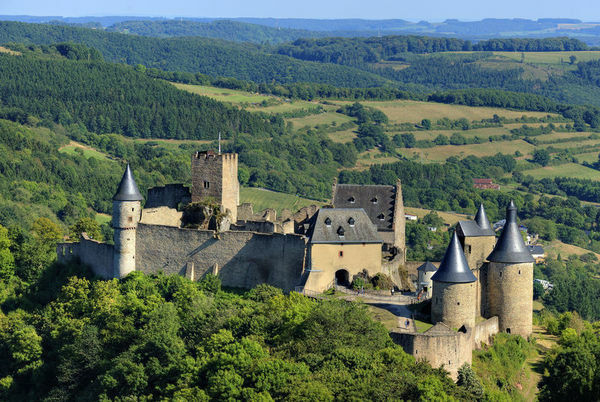 Balmoral International Group Luxembourg Travel & Tours easily provides the most up-to-date information about getting around Luxembourg.